By the twentieth century, banks in major metropolitan centers were constructing some of the largest vaults ever made. Among a few safe and vault companies able to install such a massive undertaking was the Mosler Safe Co. Mosler was the result of a series of of consolidations of earlier companies, such as Mosler Safe & Lock Co., Mosler Bahmann, and Bankers Dustproof Time Lock Co., Bankers Dustproof was the time lock subsidiary of the Victor Safe & Lock Company, and although Victor Safe and Lock continued in business until approximately 1930, Bankers Dustproof disappeared as a brand in 1915. This coincided with the 1915-1916 appearance of Mosler time locks based on designs very similar to those of Bankers Dustproof, using the same seventy-two hour 18-size pocket watch movements of the Illinois Watch Co. Changes in design included a larger dial with a geared winding arbor, reduced decoration, modified dial numbering. Refer to the table below for more detail. After 1996 Mosler left the time lock business and switched to an Ilco/Rehlor time lock that had the Mosler name on it until Mosler entered bankruptcy August 3, 2001. 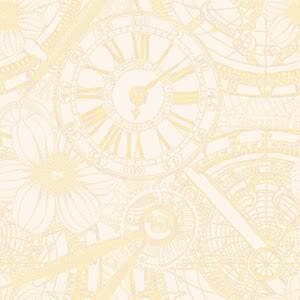 The following information is useful in dating Mosler time locks. 1919 – 1920, 72 hours, The Mosler Safe Co. Hamilton O. Type 1, 1916. This is an early example from the Mosler Safe Company. It should is not to be confused with Mosler Safe and Lock Co. which was a different company but still connected with the Mosler family and produced two models in 1887 after their purchase of the patent rights from Beard & Brother that same year. Mosler Safe Company's first offering was a four movement model that featured this same gold-plated door with a crackle jewelling finish and this is the distinguishing characteristic for a Type 1. The three movement was introduced around the same time. The two movement model was unknown until this example. This finish was used only for one year and by 1917 was replaced with a less expensive smooth bronze door finish. Unlike the earlier incarnation of this company, the Mosler Safe Company used production pocket watch movements bought from other watch suppliers. This author knows of three movement suppliers that were used throughout the life of the company until it was sold by the founding family in 1967 to American Standard Companies. 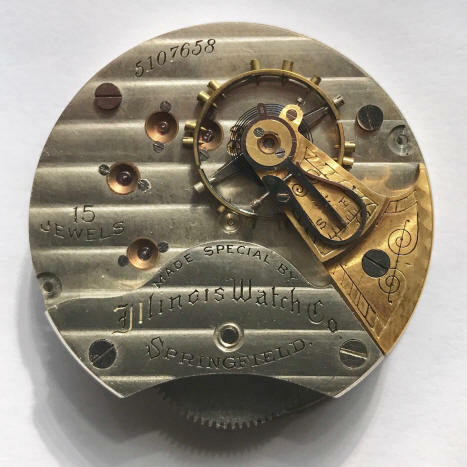 The first type used was an 18 size Model #4 movement supplied by the Illinois Watch Co., Springfield, Illinois and is illustrated above. Waltham Watch Company, Waltham, Massachusetts using their size 16 movement was substituted in 1933 after the Hamilton watch Company took over Illinois Watch Co. Sometime in the 1950's Mosler turned to the Recta brand of watch movement made by Muller and Vaucher, Switzerland and continued with this until production ceased in 1967. Around this time Mosler as well as most US time lock makers had turned to Swiss imports.